Javier Zamora was nine years old when he traveled unaccompanied 4,000 miles, across multiple borders, from El Salvador to the United States to be reunited with his parents. 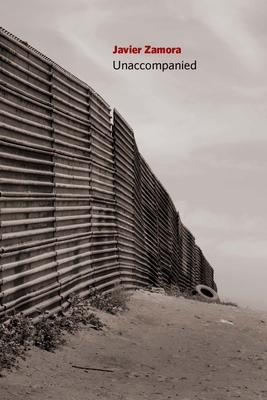 This dramatic and hope-filled poetry debut humanizes the highly charged and polarizing rhetoric of border-crossing; assesses borderland politics, race, and immigration on a profoundly personal level; and simultaneously remembers and imagines a birth country that's been left behind. Through an unflinching gaze, plainspoken diction, and a combination of Spanish and English, Unaccompanied crosses rugged terrain where families are lost and reunited, coyotes lead migrants astray, and "the thin white man let us drink from a hose / while pointing his shotgun." He knew we weren't Mexican. Alhambra. He knew we would try again. Javier Zamora was born in El Salvador and immigrated to the United States at the age of nine. He earned a BA at UC-Berkeley, an MFA at New York University, and is a 2016-2018 Wallace Stegner Fellow at Stanford University. Javier Zamora: Javier Zamora was born in El Salvador and immigrated to the U.S. at the age of nine. He earned a BA at UC-Berkeley and an MFA at New York University and is a 2016-2018 Wallace Stegner Fellow at Stanford University.